Coconut flour is best known as a grain-free, gluten-free flour. As a result of these characteristics and because it is fiber-rich, it can be beneficial for digestive and cardiovascular health. All its benefits aside, it has some properties that can make it difficult for inexperienced bakers to use. 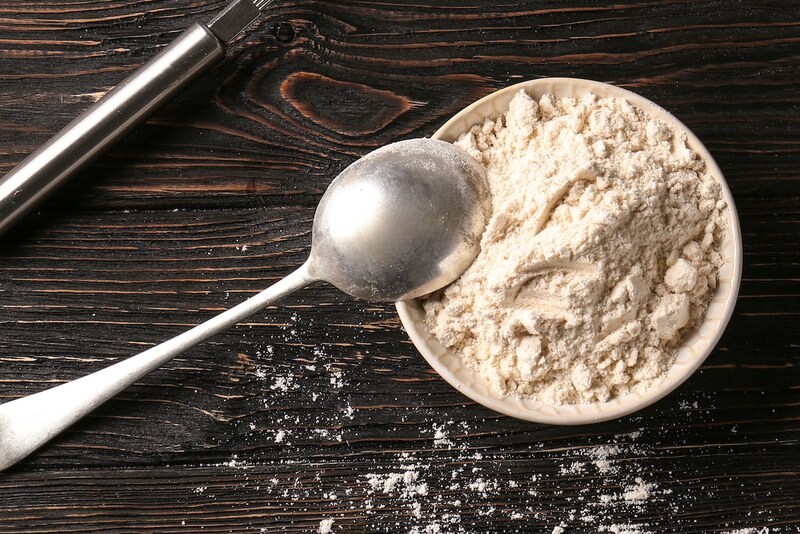 Follow the tips below to get the best results from coconut flour. Do use coconut flour in dishes that can benefit from its flavor or where you will be able to hide it. 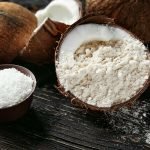 Coconut flour is not a neutral-tasting flour like wheat or cassava flour. If you use it in a food item with a mild flavor, you will be able to detect nutty coconut notes. If you don’t want the flavor but still want to use coconut flour, use it in preparations where stronger flavors will play the main role. For example, pairing coconut flour with chocolate seems to work well since chocolate will mask most mild flavors. Aside from chocolate, other options that can help to hide the flavor of coconut flour include banana and coffee. Do add extra moisture when you are baking with coconut flour. Coconut flour is notorious for being absorbent; it will soak up large amounts of your recipe’s liquids. If you don’t make adjustments to compensate for coconut flour, it can often leave finished foods with an unpleasantly dry texture. This is true for cakes and when it is used as a binder in items like meatloaf or meatballs. In a cake batter, it is recommended that you add an amount of extra liquid that is equivalent to the amount of coconut flour in the recipe. If you are using a cup of coconut flour, you will add an extra cup of liquid. Do let the coconut flour sit after adding liquid ingredients to a batter recipe. If you are making a batter, you will want to let it absorb all the liquid that it can before checking the consistency. You may need to add more liquid to ensure that that you get the desired results. 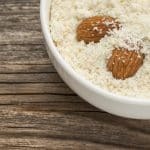 Combine it with almond flour if you want to make a gluten-free dish with a crisp texture rather than a soft one. 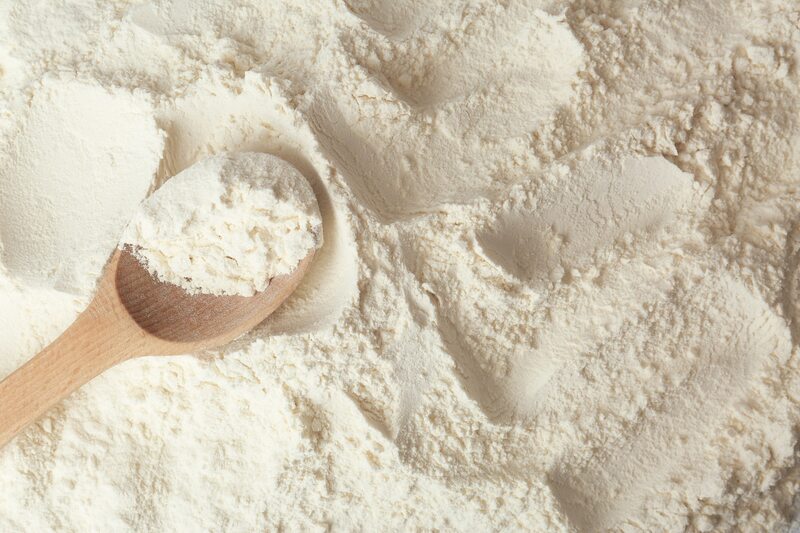 Don’t replace more than 25 percent of the flour in a wheat flour recipe with coconut flour. Coconut flour simply does not have the same properties as wheat flour and will not be able to provide the same structure or texture. The same general rule applies if you are using gluten-free flours; however, note that the percentage may vary depending on the flour. Note also that the 25 percent rule only applies if you are making a cake, cookie or quick-bread. In these items, you need the structure and lift that coconut flour alone will not give you; however, you can use it alone for things like the breading on deep-fried meats or vegetables. Don’t add as much sweetener to a recipe that contains coconut flour as you would to one without it. The reason is that coconut flour has a mildly sweet taste that you will not get from wheat flour or other gluten-free flours. This is more of a factor when you are adding coconut flour to recipes that were designed to work with other flours.